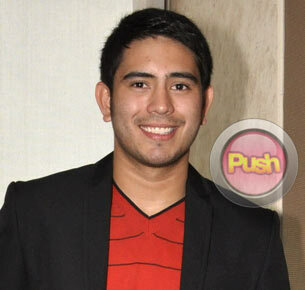 Gerald Anderson admits that he is very open to becoming close friends with Sarah Geronimo. Though he is currently without a love life, Gerald Anderson said that he is still happy. “Kumbaga mangyayari at mangyayari din po ‘yon,” he said positively. He added that being single has its pros and cons, and this largely depends on how one looks at it. Case in point, he confirmed that he feels less pressured now that he is single but he also misses having someone to care for him romantically. “Pero okay din ‘yung freedom [that comes with being single]. Nasa tao lang ‘yan kung ano ang mas gusto,” he explained. After all the controversies last year, Gerald said that he is glad that his life is going smoothly now. “Ngayon wala na, tahimik na. Kumbaga tuloy pa rin ang buhay. ‘Yung mga Kimeralds (fans of his tandem with Kim Chiu) andyan pa rin sila, nagsu-support pa rin,” he said smiling. Meantime, Gerald is overwhelmed by the positive feedback about his upcoming film with Sarah Geronimo, Catch Me, I’m In Love this early. Many people believe that the movie will be a blockbuster hit. “Siyempre masaya at sana magustuhan pa ng tao. Marami pang feedback na maganda at we’re happy kasi mai-inspire kami,” beamed Gerald. The actor also has nothing but good words about Sarah as a co-star. “Sobrang professional. Nagugulat ako kasi hindi naman siya [first and foremost] aktres pero pagdating do’n ibinibigay n’yang lahat. Rehearsal pa lang sobra siyang professional at ‘yun po ang maganda sa kanya,” he described the Pop Princess. As of press time, Gerald said that they are still not yet done shooting for the film and he is not certain if he and Sarah will have a kissing scene in the movie. “Gusto ko sana para mas maganda ‘yung movie,” said Gerald.